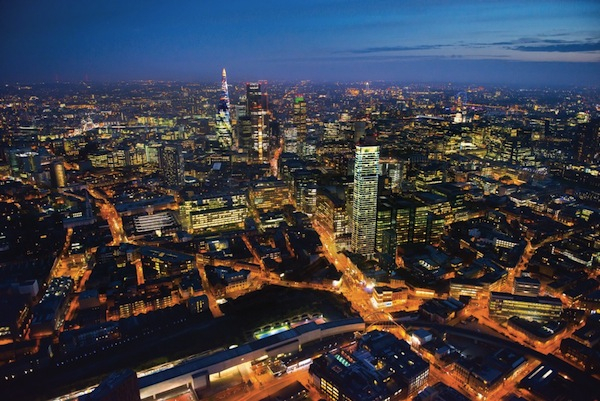 Developers are now referring to the former no man's land between the edge of the City of London, Old Street's Silicon Roundabout and Shoreditch as the "un-square mile" in an attempt to focus buyers' minds on its rapidly changing appearance. On the cusp of the financial district, it's minutes from Liverpool Street, with a Crossrail connection from the end of next year, and the hipster hangouts of Shoreditch. The commercial buildings and dwellings that survived the Blitz are the diminishing reminders of the artisan tradesmen and wholesalers who served the local population for more than 300 years. "Until recently this was where aspiring artists made their homes in unwanted spaces, which was all part of the charm," says Polat Ali of Hunters. Now these properties are more likely to be hubs for the creative and tech industries or ale bars and organic eateries trying to co-exist with the construction of luxury apartment blocks and offices. Amazon has chosen this area for its new London headquarters, at Principal Place on Worship Street - just behind the back of Liverpool Street station - which sits alongside Principal Tower, the first fully residential building in London designed by the world acclaimed architecture firm Foster + Partners, completing in 2019. The bronze, softly curved, 50-storey collection of apartments and duplex penthouses - a joint venture between Brookfield Property Partners, W1 Developments and Concord Pacific - will offer spectacular views of the capital from £960,000. According to Christopher Murray of W1 Developments, more than two thirds of the 301 apartments have already been sold off-plan to a range of buyers. "Around 40 per cent are from Europe and the UK, 20 per cent from North America and 30 per cent from the Middle and Far East," he says. "Many are looking to take advantage of the preferential exchange rates." Average property prices around Principal Place have risen by 89 per cent since 2007 to £588,200, research from Countrywide and the Land Registry shows. Last year, one in 10 homes sold in the area was a new build, and so far this year seven per cent of homes went for more than £1million. "Ten years ago, property prices were an average of £200 to £300 per sq ft, now it's around £1,000 per sq ft compared with £2,000 in the West End," says Ali.